Over the last two months, precious metals have been on a tear. Gold and silver have jumped to the highest prices in almost two years, and the precious metals market seems to finally be headed in the right direction. 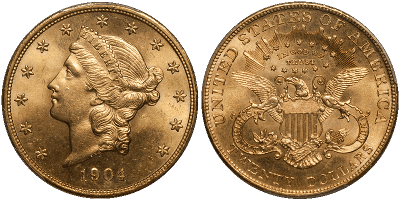 While rare coins are largely uncorrelated to the precious metals market, it does have an indirect effect on rare coins. 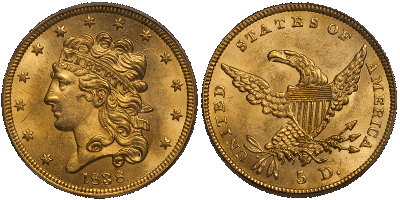 When many investors are focused on bullion prices, the rare coin market tends to slow down a bit, making now the best time to swoop in and get great prices in a soft rare coin market. This month, we have a number of hand-selected compelling options for you. 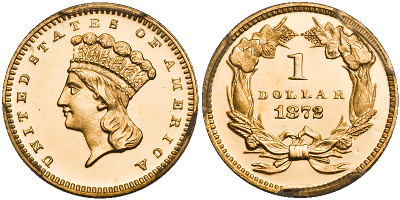 We are offering three different pre-civil war issue coins, a beautiful gem $20, a proof gold dollar that is one of the finest known of its kind, and the elusive 1911-D $2.5 Indian. 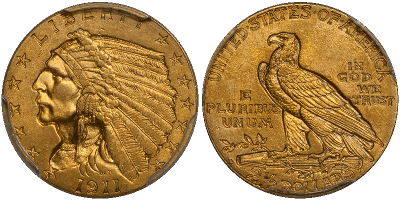 If you are a buyer of the 1911-D Indian, you will have already acquired the toughest to find coin in the series, which makes finishing out a series collection that much easier. Please click on the available coins below to learn why they can be a great addition to your portfolio! 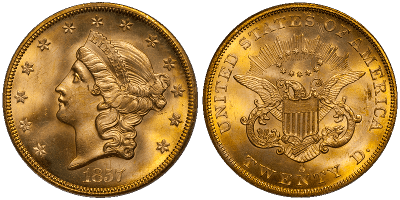 These types of coins typically sell out quickly, so please take a look at these one-of-a-kind rarities, and call us today at 800-831-0007 or send me an email to add them to your portfolio! Pre-Civil War issue from the rare Dahlonega, Georgia mint. Only 3 finer! 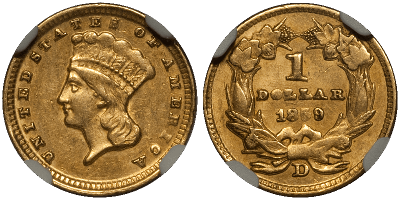 Extremely rare and likely finest known 1872 proof gold dollar! Beautiful gem to get you started with collecting. Excellent value! Near gem and excellent value for key date in a very popular series! Beautiful coin with historical significance. Part of the SS Central America shipwreck recovery! Last year of issue for this popular series and has never been seen at auction. Only 3 finer!